BANFF, ALBERTA, Canada –Explore the Cline River valley with our Confluence-Heli Snowshoe tour in Banff, Canada. After a 6-minute flight over the Cline Valley and Canyon, explore the Waterfalls Creek area for up to three hours, searching for wildlife tracks. Warm up with hot drinks and a gourmet lunch before catching a helicopter back. The Cline Gallery attracts skilled ice climbers from all over the world, and it’s not hard to see why. Follow our guide through the 150-foot high, narrow gallery of frozen ice sculptures as they take you 4 km on or alongside a frozen creek on the canyon floor. 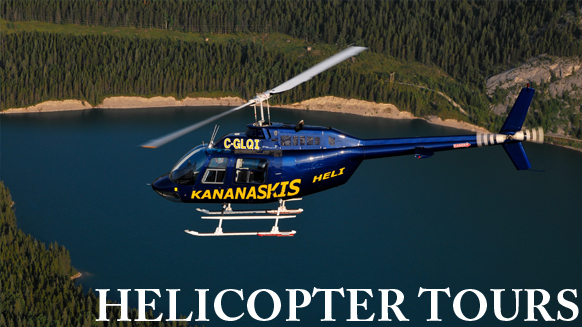 A gourmet lunch, hot drinks and helicopter rides to and from the canyon are included in this Banff sightseeing tour.